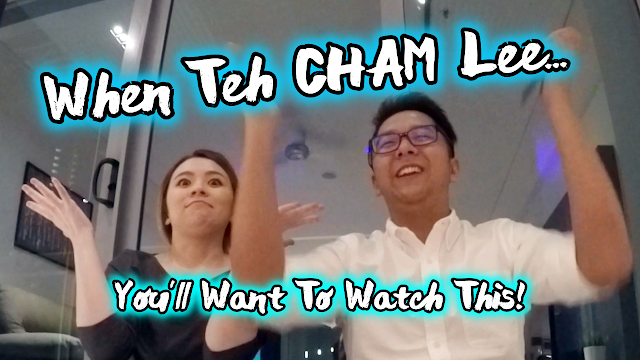 JQ Talks: When Teh CHAM Lee... Almost Korean Drama. YOU WILL WANT TO WATCH THIS! The long awaited video. A number of our friends have been asking to watch this particular video. If you are wondering, we took this video with a GoPro Hero 4 Silver on a fake but very useful gorilla tripod that I bought off Lazada Malaysia. It was all taken in one scene, no flip up screen and no checking for angles. We really had no idea how the final scene happened, looks like can pass as Korean drama. Everything was just so right without us knowing. It was a blessing.